And then there were four: following on from the first three editions in 2015, 2016, and 2017, Chronopassion unveils the fourth edition of its Instabook. So what’s new? Above all, a big change of concept. 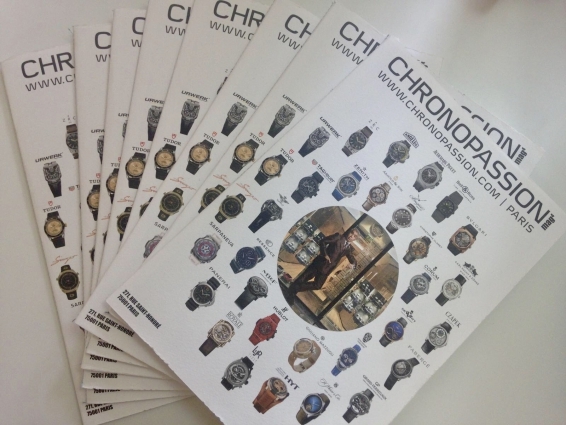 For its first issue, Chronopassion went with the format of an authentic magazine, featuring a wealth of original texts and images. The second number bucked the prevailing trend: at a time when regular retailers were going for 100% digital communication, Chronopassion printed out the very best pictures from its Instagram account, which has a daily following of over 76,000 fans. It was a real coup, delivered directly to 7,000 clients and friends of the brand, and ended up giving quite a boost to the brand’s notoriety... as well as sealing more than a few deals. The third magazine adopted much the same approach. The 2018 issue still bears the familiar “Instabook” name, today inextricably linked with Chronopassion, but now the images have been wrested from their Instagram setting. “We were keen to have purer photos that focused solely on the timepieces themselves. That’s the one and only purpose of each photo – and that’s what we get the most questions about each time one of our magazines comes out,” explains Chronopassion’s founding CEO Laurent Picciotto.